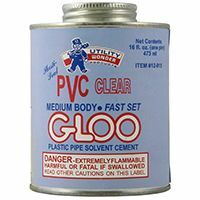 Sealing, priming, lubricating, freeze-protection and other type chemicals for use in plumbing, heating, pipe fittings and many other applications. PTFE (Teflon) pipe thread sealing tape available in 1/2", 3/4", 1" sizes and various lengths for threaded pipe and fittings. 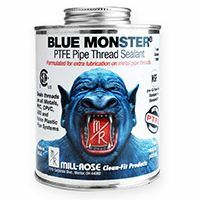 Pipe dope for thread and gasket sealing applications, including Teflon paste, pipe joint compound, thread sealant for water, steam & gas. 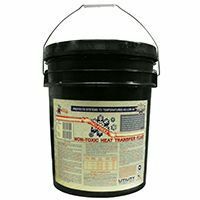 Utility brand No-Freez non-toxic propylene glycol antifreeze and test kits intended for use in boiler, hydronic and geothermal systems. 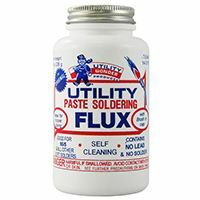 Lead-free soldering flux for copper pipe and fitting soldering work. 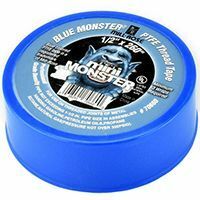 Suitable for copper, brass, tin, stainless steel and cast iron. 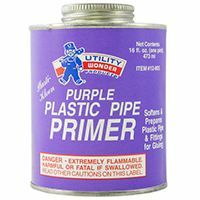 Primer for PVC and CPVC pipes and fittings in clean and high-visibility purple color. For potable water and DWV applications. Medium and regular body PVC cement in fast and very fast setting types for potable water and DWV (Drain, Waste, Vent) applications. 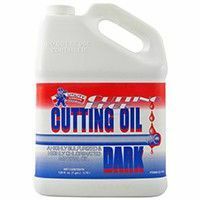 Pipe thread cutting oil, plumbers grease and lubricants for plumbing, heating, HVAC and mechanical applications.